The brachialis (BM) is a complex muscle with a long-running controversy regarding its morphology and innervation. The primary objective of this study was to elucidate the detailed gross morphology of BM in an adult Sri Lankan population. Cadaveric upper limbs (n = 240) were examined for the proximal and distal attachments, length, width, thickness of BM, and innervations by the musculocutaneous (MCN) and radial nerve (RN). In all cases, the BM consisted of two heads: superficial head (SHB) and deep head (DHB). Proximally SHB and DHB originated from the lateral, anterior, and medial aspects of the middle and distal thirds of the shaft of the humerus and inserted onto the coronoid process and the tuberosity of ulna, respectively, as two separate entities. Statistically significant (P < 0.05) gender differences were observed between the mean values (mm) of muscle length (male: 188.03 ± 10.54; female: 166.14 ± 7.97), width (male: 26.57 ± 4.80; female: 25.28 ± 4.67), thickness (male: 10.73 ± 1.74; female: 9.74 ± 1.28), and tendon length (male: 44.44 ± 7.73; female: 33.40 ± 5.09). In all cases, MCN innervated the BM, while the model site of piercing was in the middle third of the muscle. The incidence of RN contribution to BM was 83.33% and in the vast majority it pierced the inferior third of the BM. Present study provides a comprehensive anatomical overview of the BM. 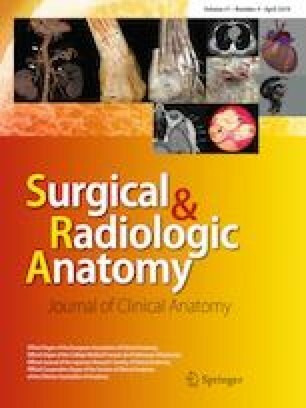 An in-depth knowledge of the anatomy of BM may aid in comprehending functional characteristics, enhance the accuracy of imaging modalities, and provide new insight to the current surgical approaches around the elbow joint which in turn will invariably minimize the potential complications encountered during clinical procedures. II: contributions to concept/design, acquisition of data, data analysis/interpretation, drafting of the manuscript, critical revision of the manuscript, and approval of the article. BGN: contributions to concept/design, critical revision of the manuscript, and approval of the article. SMU: acquisition of data, data analysis/interpretation, and drafting of the manuscript. KNP: acquisition of data and data analysis/interpretation.